The Indian cricket team is very successful and dominate the New Zealand side in the current cricket series. India has outclassed the black caps not only in the test but also in ODI series. India is set to give tough time in T20 series on Wednesday. 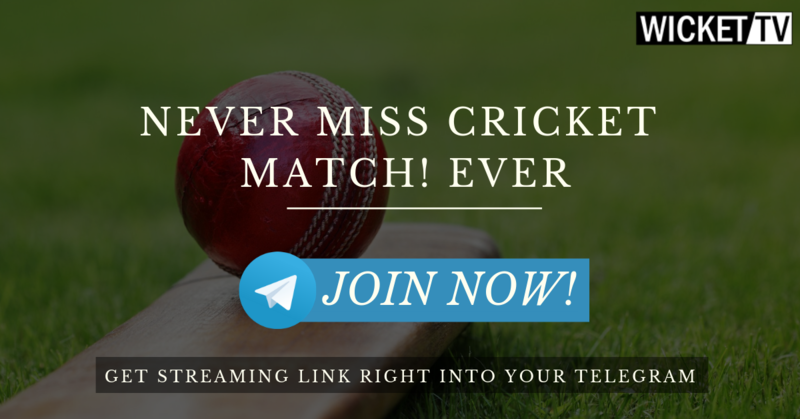 Live Cricket streaming of India vs New Zealand T20 will be available on Wicket TV and as always we will try our best to give you the HD resolution. The Indian side is hoping to repeat their magic in the T20 series as well. We all know the world’s top batsmen Kohli won’t be available, So, the men in blue and completely on their own. Top cricketers in India also seeing this a positive experiement in their cricket team. Indian team is considered a one-man show when Kohli is in the team. Its a great chance for other teammates to show their talent in the absence of Virat Kohli. If Virat is in the team all the media limelight circle around him and fans are just too emotionally attached to the skipper. In the absence of Virat Kohli, the 2nd top batsmen in the Indian team Rohit Sharma will have a massive opportunity to show to not only fans but also the team management that he can take the responsibility. Rohit is proved to be very unlucky with his bat in recent matches but today is the day for Rohit to show he can lead the Indian team. According to some inside sources, Rohit and Dahawan maybe asked to take rest in the T20 series but these are not confirmed reports. Skippers will be given rest to get ready for the upcoming series against Australia.